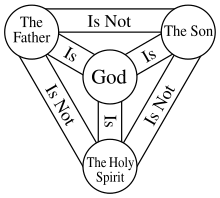 For the majority of Christian denominations, the Holy Spirit or Holy Ghost is the third person (hypostasis) of the Trinity: the Triune God manifested as God the Father, God the Son,and God the Holy Spirit; each entity itself being God. 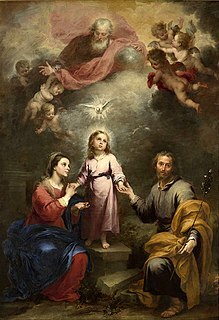 Nontrinitarian Christians, who reject the doctrine of the Trinity, differ significantly from mainstream Christianity in their beliefs about the Holy Spirit and generally fall into several distinct categories such as Unitarianism, Binitarianism, Modalism, and others. 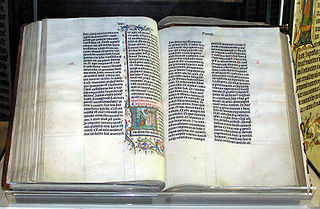 Some Christian theologians identify the Holy Spirit with the Ruach Hakodesh in Jewish scripture, and with many similar names including the Ruach Elohim, Ruach YHWH, and the Ruach Hakmah. 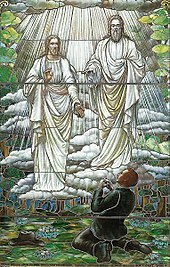 In the New Testament it is identified with the Spirit of Christ, the Spirit of Truth, the Paraclete and the Holy Spirit.